As a designated Notified Body (No 2661) for the CPR System 1+ and System 3, we can test and classify cables for CPR, enabling manufacturers and distributors around the world to supply within the EU. For over 45 years BASEC has been a global leader in the testing and certification of cables. We have recently invested heavily in new equipment to allow us to test to all the requirements of the CPR in respect of cables, providing a full service to manufacturers and traders. As of 1st July 2017 under the European Construction Products Regulation (CPR), it is now mandatory for cable manufacturers and suppliers to apply CE marking to any products covered by the harmonised European standard EN 50575. The CPR applies to all cables placed on the market for use in fixed installation in domestic, commercial and industrial premises and other civil engineering works anywhere in the European Union. It applies to power, communications and fibre optic cables irrespective of the place of manufacture and includes novel/unique cables and those which are not designed to any particular design standard. These tests, with a few exceptions need to be carried out by an independent Notified Body. The Construction Products Regulation is solely concerned with reaction to fire and resistance to fire properties of these products, resulting in awarding classifications often known as “Euroclasses” to each product or family of products. The CPR regime for resistance to fire of cables is still under development at the present time. The manufacturer chooses the cable/ranges for compliance. The manufacturer chooses the intended class based on the regulation and market requirements. Manufacturer approaches Notified Certification Body with product data package to support sample identification. Notified Certification Body selects samples from stock production and undertakes Factory Production Control (FPC) assesment. Notified Test Laboratory tests samples and issues Classification Report. Notified Certification Body issues Certificate of Constancy of Performance. Manufacturer creates DoP and maintains for 10 years. Triennial testing by Notified Certification Body. Categories Aca, B1ca, B2ca and Cca are subject to the requirement of AVCP System 1+. This table shows the established classes and test methods for cable reaction to fire. Manufacturer approaches Notified Test Laboratory with a product data package to support sample identification. Manufacturer selects samples from stock production and sends to Notified Test Laboratory. No further testing required by Notified Laboratory unless the product changes. Manufacturer or Notified Test Laboratory tests sample. Category Fca to AVCP System 4 has manufacturer duties only. Manufacturers and suppliers are able to conduct their own tests and make their own classifications to class Fca. To reduce the cost and complexity of the CPR requirements, it is possible in many cases to group cables into “families“ and assess them in accordance with EXAP (extended application) rules. BASEC will work with clients in utilising these systems to best effect. However EXAPs can not be applied to all cables. 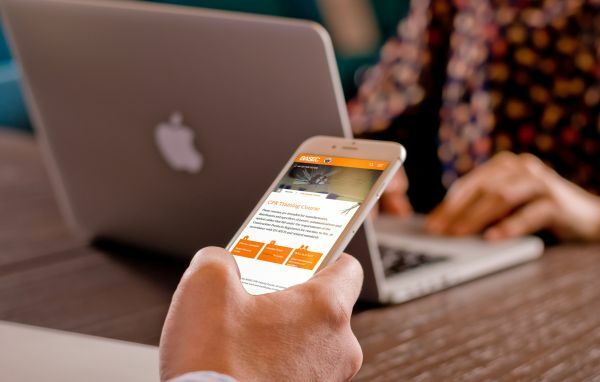 BASEC maintains appropriate Notifications to European Directives covering cable products and we can provide procedural advice, perform assessments and prepare technical reports for manufacturers and importers of cable products. 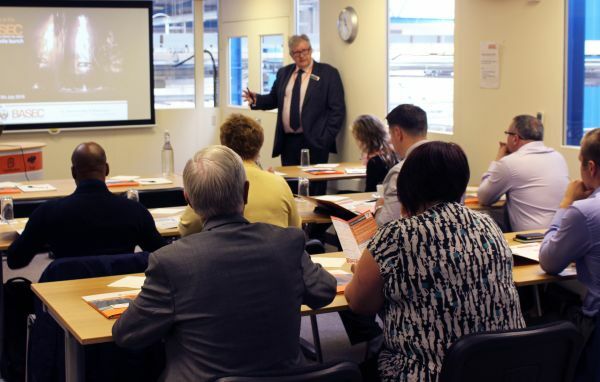 BASEC is also an active participant of the Group of Notified Bodies which provides further guidance to facilitate equivalent assessment for all members. Under normal circumstances, distributors will pass on Declarations of Performance (DoP) provided to them by the original manufacturer. Distributors supplying cable under their own brand name, using their own product descriptions / part numbers, can issue DoPs in their own name if they have obtained a Classification Report (and if necessary a Certificate of Constancy of Performance) in their own name. BASEC has additional application forms to initiate this process, which must be completed by both the distributor and the original manufacturer. The gross heat of combustion is measured for each of the cable’s components. The test is used for Class Aca only. A single length of cable is exposed to a 1kW flame and the total char length is measured after all combustion has ceased. The cable is mounted vertically in the test chamber with the burner flame applied at 45°. The 1kW premixed propane and air gas flame is applied for a specified time period determined by the cable’s outside diameter. The total length of the char (H) is measured after all flaming has extinguished. Test is used for Classes B1ca, B2ca, Cca, Dca, Eca & Fca. 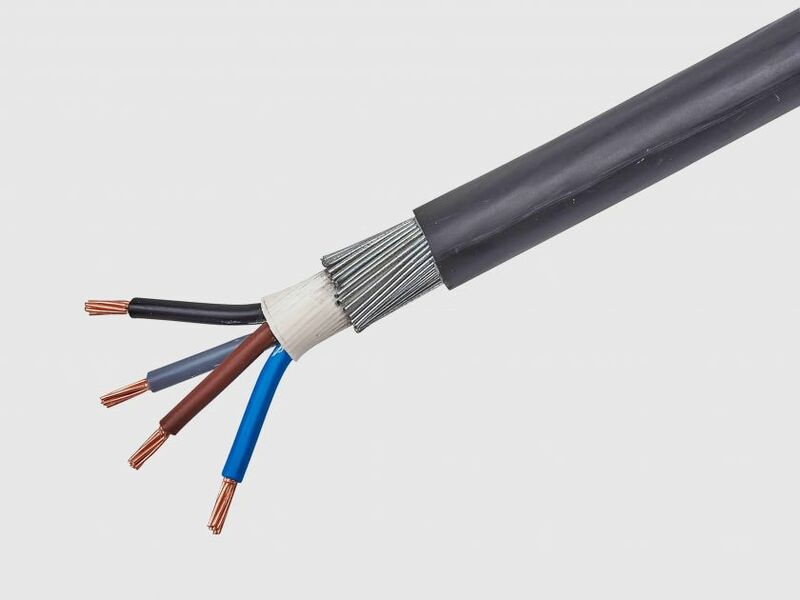 An array of individually spaced cable or spaced bundles of cable are exposed to either a 30kW flame (Class B1ca) or 20.5kW flame (Classes B2ca, Cca, Dca). 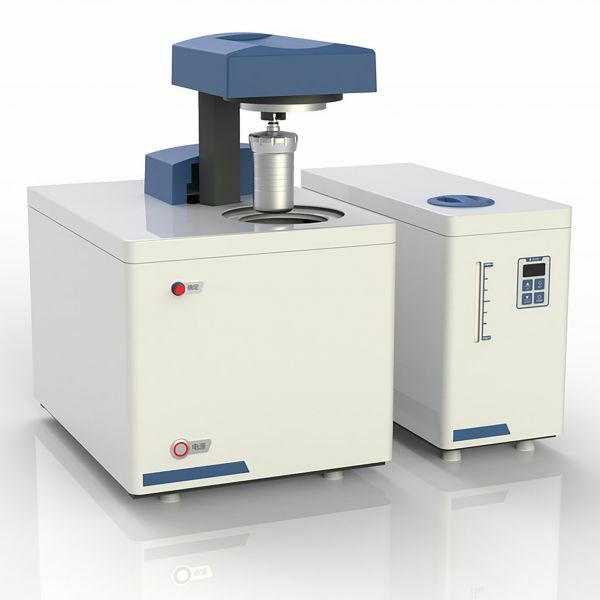 The flame spread, heat release, smoke production and droplet generation are measured. The test facility is based on the EN/IEC 60332-3-10 apparatus, with the addition of heat release and smoke production measuring instrumentation. The cable test array, determined by the cable’s outside diameter, is mounted on to a sample ladder and loaded in to the test chamber. The premixed propane and air burner flame is applied for 20 minutes, close to the lower end of the sample. For Class B1ca an additional non-combustible back board is mounted to the rear of the sample ladder. 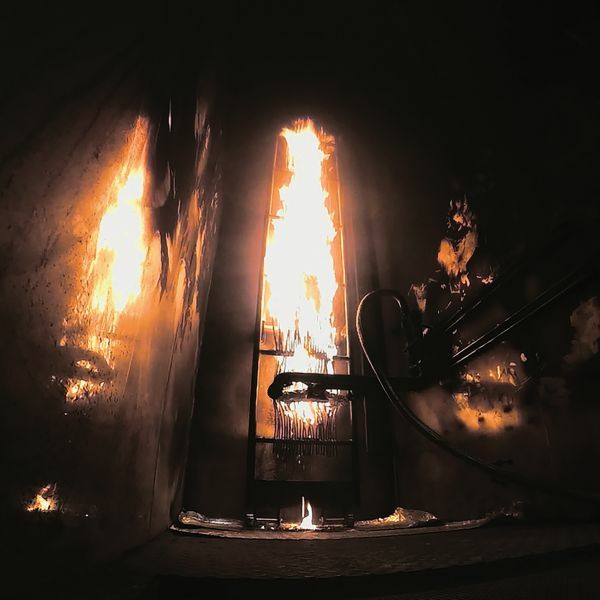 The peak heat release (PHR) and total heat release (THR), fire growth rate index (FIGRA), the peak smoke production rate (SPR) and total smoke production (TSP), and the number and frequency of flaming drops (d) are recorded during the test. The flame spread (FS) is determined as the extent of char above the burner measured after the test has been completed. Test is used for Classes B1ca, B2ca, Cca and Dca. The reduction in light transmission gives a measure of smoke density generated during the combustion of cables. Cables that achieve the highest performance of ‘s1’ in the EN 50399 test can, at the sponsor's request, undertake a supplementary 3m cube test in order to further differentiate the degree of the smoke production (s1a or s1b). A cable array, determined by the cable’s outside diameter, is exposed to a specified alcohol/water fuel source in a 27m3 chamber with a circulating fan generating a homogeneous smoke mixture throughout the chamber. The smoke density is measured as a reduction in light transmission across the chamber. Test is used for Classes B1ca, B2ca, Cca and Dca where applicable. The pH and conductivity of effluent gases from the combustion of the cable components are measured to indicate the degree of acidity and corrosivity of the cable under fire conditions. Each non-metallic component in the cable is combusted in a tube furnace at a temperature greater than 935°C for 30 minutes with the effluent gases bubbled in de-ionised water. The dissolved gases are analysed for the pH & conductivity and the weighted averages determined for the ‘a’ classification. Test is used Classes B1ca, B2ca, Cca and Dca.